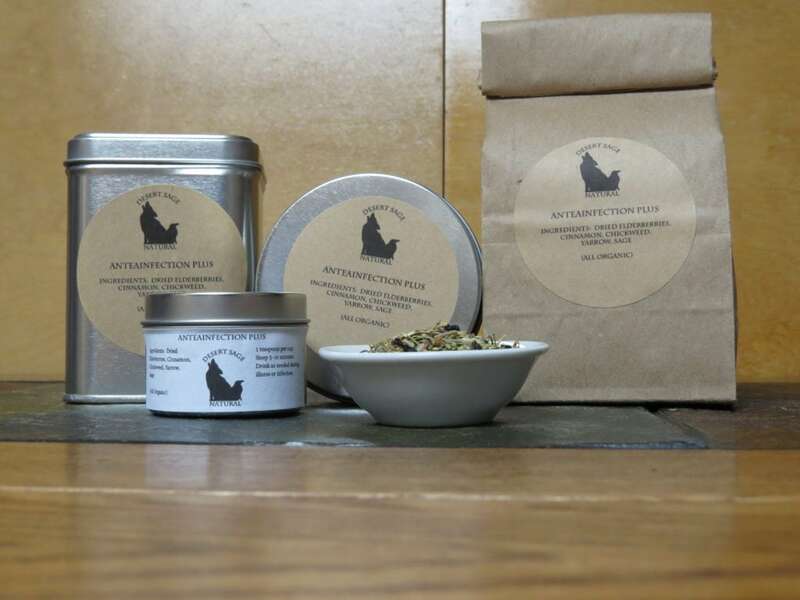 ‘AnTeaInfection’ has been one of my go-to teas for illness and infection for quite a long time. However, sometimes it needs to be paired with other teas to properly fight whatever sickness is currently making life more difficult. Sometimes remembering all the teas I should be drinking and then managing to actually make and drink them all gets complicated. It occurred to me that I could blend a version of ‘AnTeaInfection‘ that added in some of the other needed elements, for the times when I can summon the energy to make a single pot of tea, but don’t have a lot more than that. 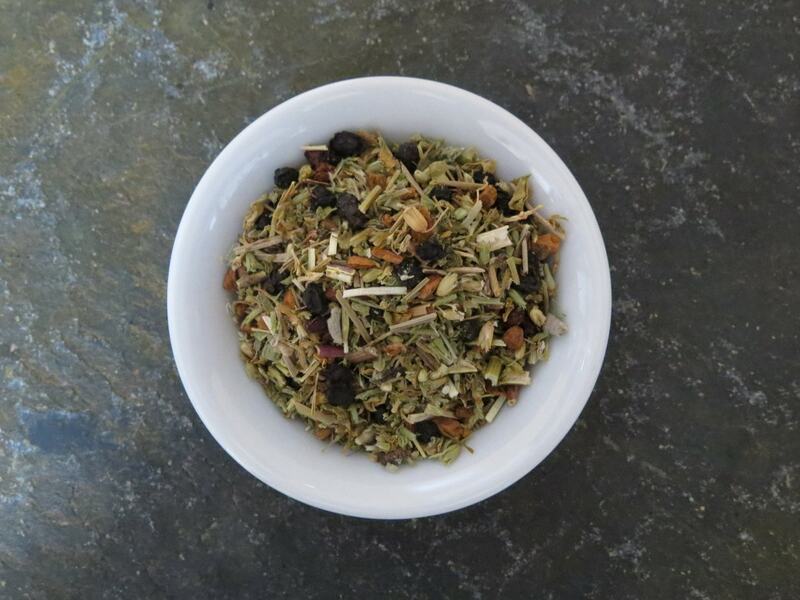 ‘AnTeaInfection Plus’ adds cinnamon and elderberry to the original recipe for the tea, to give a bit more assistance to fighting respiratory symptoms. This entry was posted in Fruit, Medicinal Teas, Things We make (Tea, Coffee, Cocoa) and tagged Anti-Bacterial, Anti-Viral, Desert Sage Natural, Organic Chickweed, Organic Cinnamon, Organic Dried Elderberries, Organic Herbal Tea, Organic Medicinal Tea, Organic Sage, Organic Yarrow, Tea for Colds, Tea for Flu, Tea for Illness by DesertSage. Bookmark the permalink.